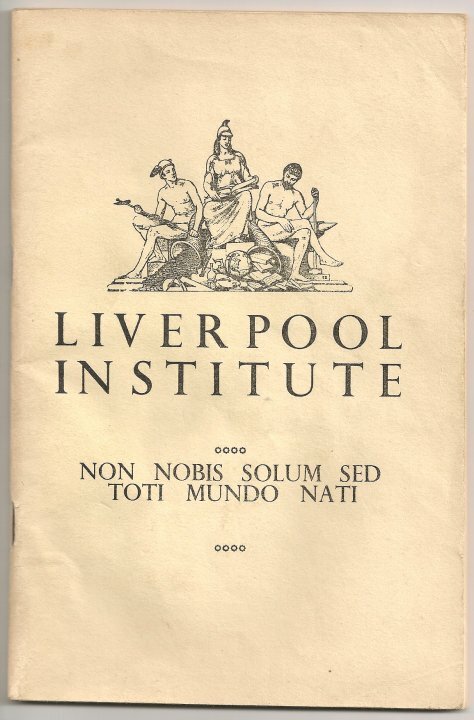 Liverpool Beatles Auction: More Institute Items. 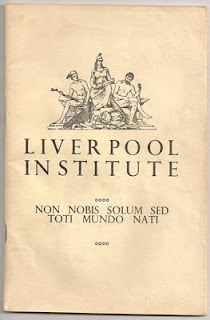 A couple of rather interesting items arrived this morning from an Institute old boy. 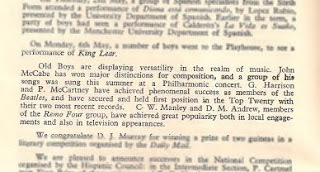 First of all there's a newsletter from July 1963 catching up with successful Old Boy's P McCartney and G. Harrison. 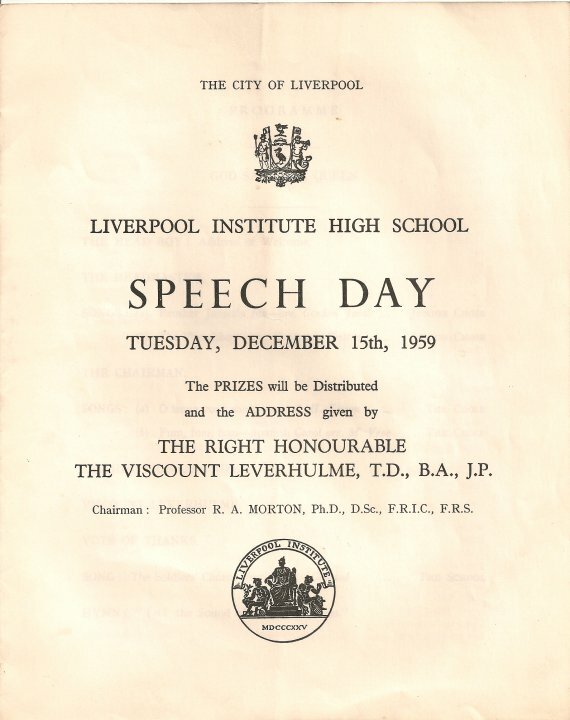 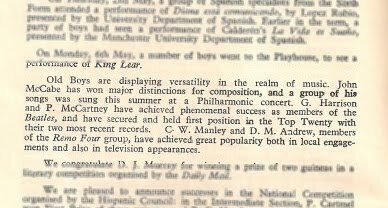 Even better than the newsletter is a programme for Speech Day in 1959, which lists among the prize givings an art prize for J P McCartney. 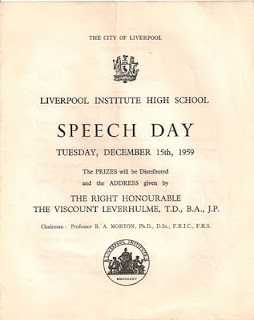 Notice that the Speech Day programme gives Paul's his full initials J P McCartney, but by the time of the newsletter and his fame in the Beatles he is referred to as P McCartney.